With the leaves turning and air getting cooler, now is the perfect time to plan a fall themed run! Whether it is Halloween or Thanksgiving, these runs will get you into the holiday spirit! Also, if you are someone who runs for the bling the US Road Running Group is holding two Holiday themed virtual runs that you receive an awesome medal (pictured below) for! 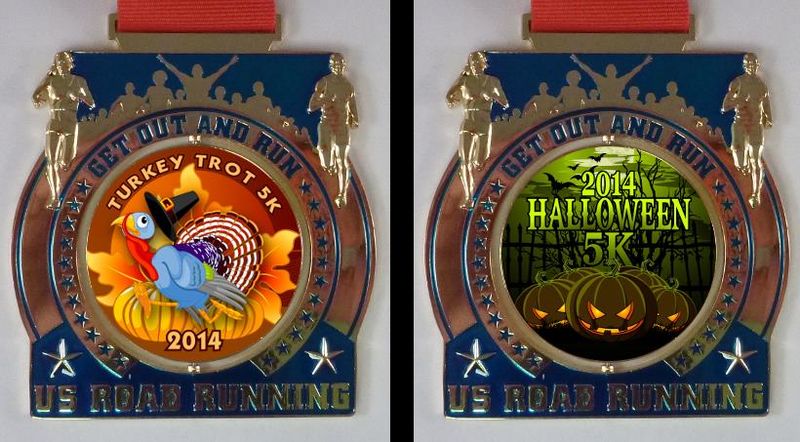 The Halloween 5K and The Turkey Trot 5K, 10K or Half Marathon! Find a Local Turkey Trot Near You! ← Be Fit For a Good Cause!